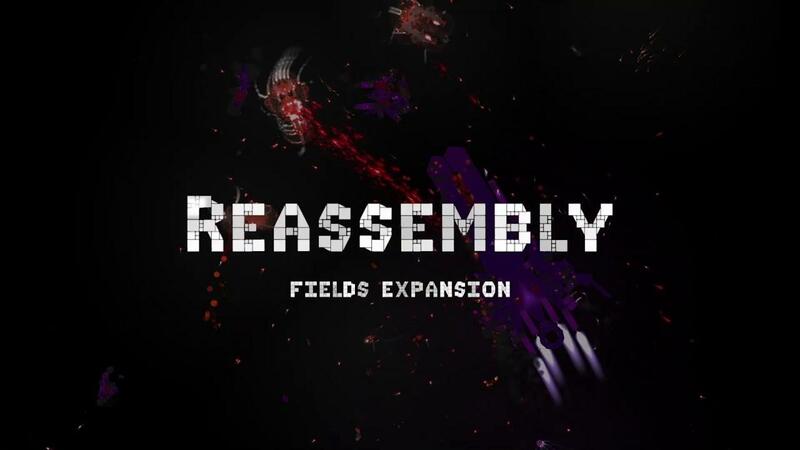 Reassembly is a game that I was seriously addicted to when it came out a few years ago, I fear I'm going to lose many more hours with the new 'Fields Expansion'. In a really old article, I said Reassembly was "The space game I've been waiting for", some high praise! In addition to the paid expansion, it also received a free update to the base game. This included a free for all tournament option, SDL updates, many bug fixes and some improvements to modding support. I have to say, the free for all tournament option is seriously cool. Watching your ship designs be AI controlled and battle it out is something special. The tournament feature also lets you battle against ships from those on your Steam friends list, although I haven't yet got that to work just yet. The expansion includes new building blocks including Afterburners, Burst Shields, and Decouplers; new music tracks; slow zones in space that hinder movement and weapon projectiles that will spice things up a bit and finally Gravity Wells. These Gravity Wells do sound very interesting, since they will pull everything towards them. A very fun game, one I am looking forward to jumping back in for the Fields Expansion for sure! I'm really glad to see it supported multiple years after release. You can grab it from Humble Store (on sale) and Steam. Reassembly is seriously awesome. I completed the game with every race, then moved on, haven't played it in years. Maybe this is the excuse I need? It is a constant amusement to me when I read an article like this, then check my Game Library, and realise "Cool, I actually own the game!" g000h It is a constant amusement to me when I read an article like this, then check my Game Library, and realise "Cool, I actually own the game!" Its on sale there and I guess now, I need to pay 10% more... oh well, worse things have happened. EDIT: Thanks to g000h's advise, I was able to "Unpause" my Humble Monthly sub, purchase Reassembly, and then re-Pause my subscription even with the deadline to pause this month just hours away. Those are some of the most organic-looking spacecraft I've ever seen. I mean, some games will feature sort of organic-look skins, but that trailer half the time looked like a bunch of micro-organisms were drifting around shooting at each other. Pretty cool.